Talk about having it all beneath one roof…The Madrones, an Italian-style enclave in the Mendocino County town of Philo, is a multifaceted destination with three tasting rooms, five pet-friendly “guest quarters,” a wellness spa and a dog-friendly restaurant, Stone & Embers, specializing in wood-fired cuisine. Visitors with four-legged companions in tow will get a special welcome at the Smith Story Wine Cellars tasting room, where the resident goldendoodle, Lord Sandwich, reigns supreme. Sandwich not only has a couple of wines named for him (Lord Sandwich Red Table Wine and 2017 Lord Sandwich Blanc); he has more than 65,000 followers on Instagram and was the face behind a Kickstarter campaign that helped fund the winery’s startup in 2014. It was perhaps the first winery ever to be crowd-funded, and now Sandwich and entrepreneurs Eric Story and Alison Smith-Story are giving back through a nonprofit, Socks for Sandwich, that donates a pair of new socks to charity for every bottle of Sandwich wine sold. 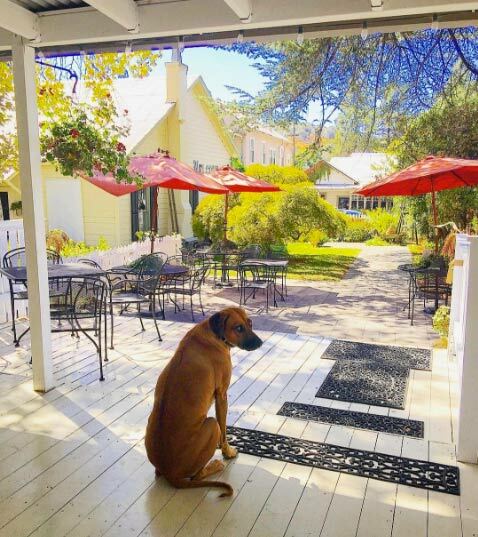 A visit to the tasting room is a great prelude to lunch or dinner at Stone & Embers, where your dog can join you at a patio table as you enjoy artisanal pizzas or specials of the day. 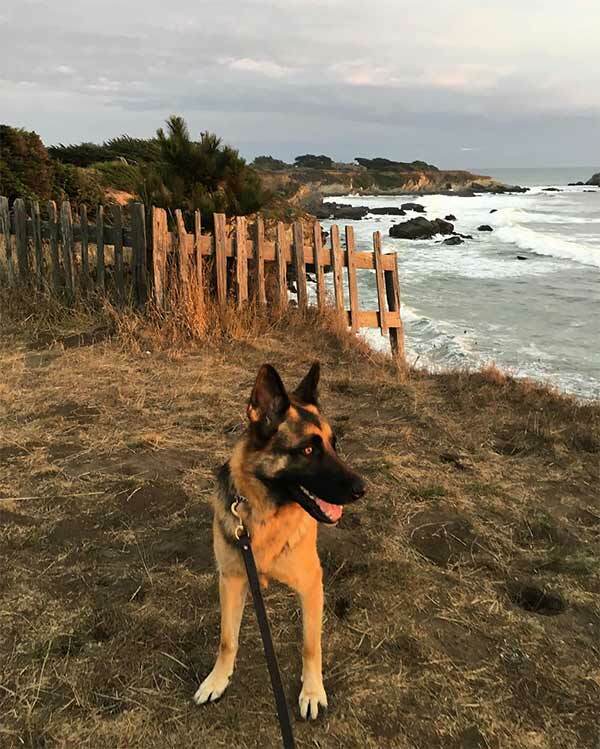 Chef Patrick Meany has an impressive culinary resume, including stints at Bouchon in the Napa Valley and Gary Danko in San Francisco, while partner Matt Barnes manages nearby Three Dog Farm, where much of the produce used in the restaurant is grown. For overnight stays, the Madrone, which bills itself as "not a hotel and not a B&B," provides dog-friendly “guest quarters” (the Kitchen, the Garden View and the Living Room) in the main complex and two units (Fallers and Loggers Cabins) at The Brambles, an adjacent hideaway in the redwoods designed around a Victorian-meets-steampunk aesthetic.